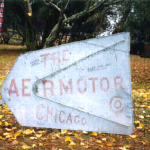 At American Windmills, we pride ourselves on our rebuilt original Chicago Aermotor Windmills. 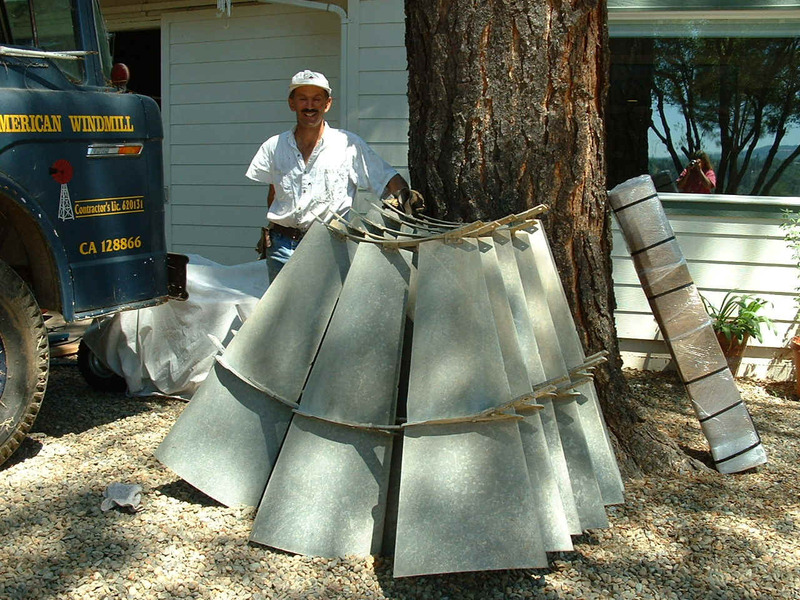 Every Windmill taken in is completely cleaned and disassembled. All new turned and ground shafting and bearings and gears are added to the motor. We ALSO press in an oil seal and roller bearing so this machine will NEVER leak. This machine will start up in the slightest puff of wind. 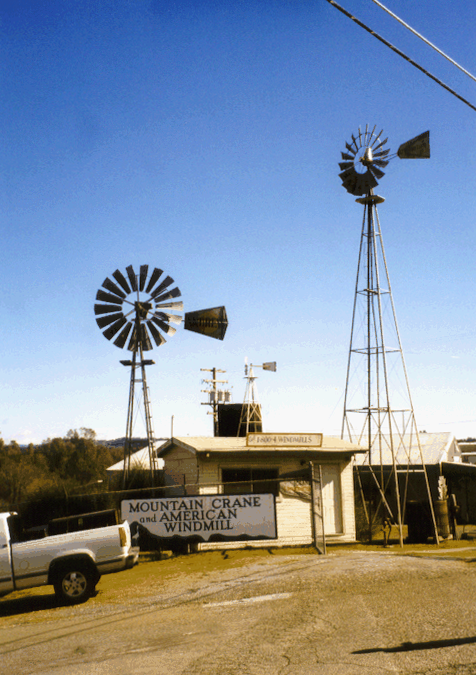 Never ever do we weld the Windmill parts that WE sell! 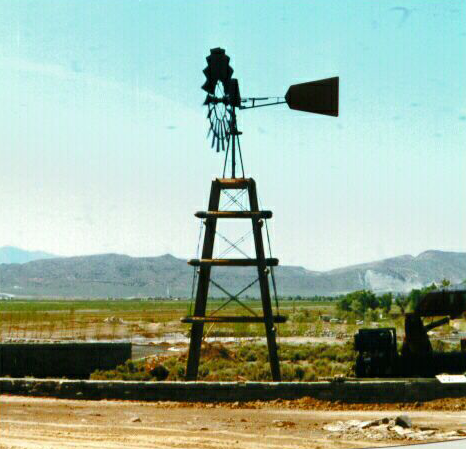 The Windmills are as beautiful as you remember them from 60 years ago! From the outside the blades and tail look beautiful and dulled; some people call it patina. But on the inside, the motors are basically brand new! All my complete Windmills come with installation manuals and our wonderful customer service. 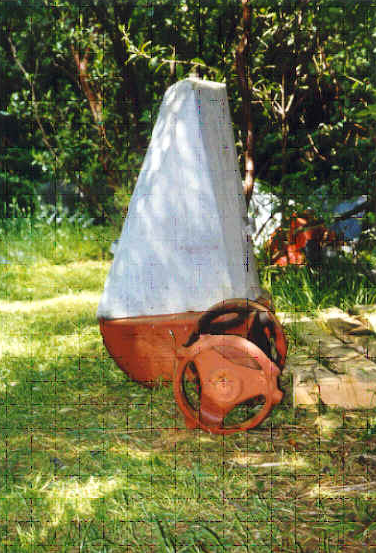 Every rebuilt Aermotor Windmill we sell comes with a FULL 10 years warranty but with minor yearly maintenance, it should last for 50 years. We also look at the tail pin holes to make sure that they’re round, not oval. The hub spoke holes can be egged out too so we check every spoke hole. 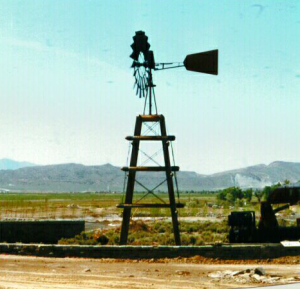 You want a windmill that won’t have any problems so that’s what you’ll get from AMERICAN WINDMILLS. 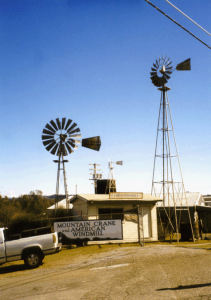 We feel that the Windmill is man’s perfect machine! 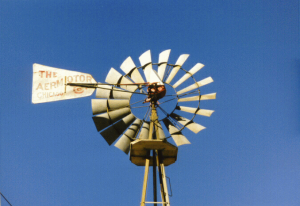 We carry brand new Aermotor windmills at 20% off AND we have the oil free “spinner”, FIASA, Baker and Dempster Windmills if that fits with your project. A sample of our complete OLD American Windmills we offer: Remember that these are our rebuilt superior windmills. 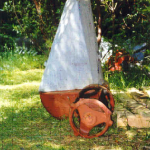 If you want new, look on my Water Pumping Windmill page. 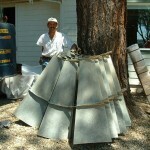 These windmills will have the original double dipped galvanized blades and tail. It’s hard to NOT get a bullet hole or two, but it’s the bullet holes that give the windmill “character”. MOST windmills you buy from somewhere else will have the new blades and tail. 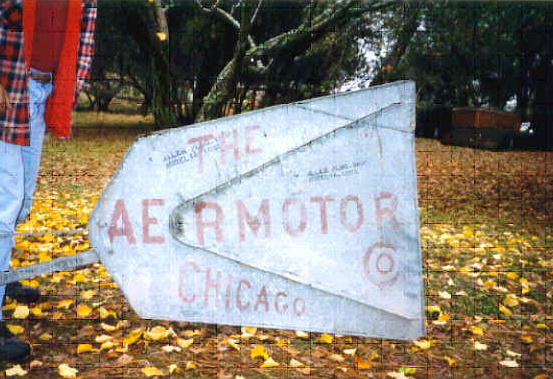 We are one of the last companies that carry the original Chicago Aermotor material. If you like the PRIMO product, no bullet holes and PERFECT in every way, I have that too. Let me know that you’re interested in PRIMO. 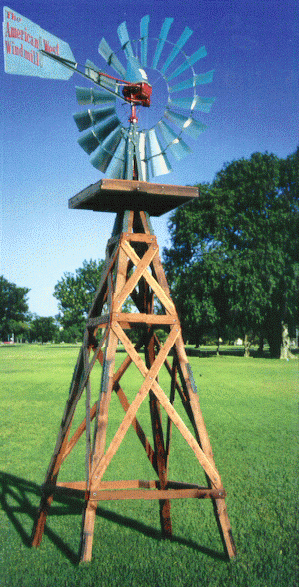 Look at this BEAUTIFUL 12′ windmill I have for $7500! It has the oil seals and roller bearings, vintage blades and tail too.